Many of you may know it, but I’m betting at least an equal number don’t. About a year ago, you could count me in the latter camp, but I had an awakening of sorts when a friend tasted me on a bottle. Frascati is an ancient wine. Mythical legend says that during the Papal elections of Innocent X (1644) and Clement X (1670), Frascati spouted from Roman Fountains, and the mouths of the Lions at the Capitol much to the delight of the people who rushed to fill bottles and jugs with the wine. Today Frascati is enduring a renaissance and it’s well deserved. The DOC is located in the picturesque Alban Hills just to the south of Rome. Today we are joined by Mauro Merz, the winemaker for Fontana Candida, who is undoubtedly spearheading Frascati’s return to prominence. Mauro, thank you very much for being with us today. Grazie a lei Giovanni, Prego! I’m sure many of my readers are not as familiar with the Frascati DOC as they are with other wine producing areas in Italy. Can you give us a little background about the DOC region? 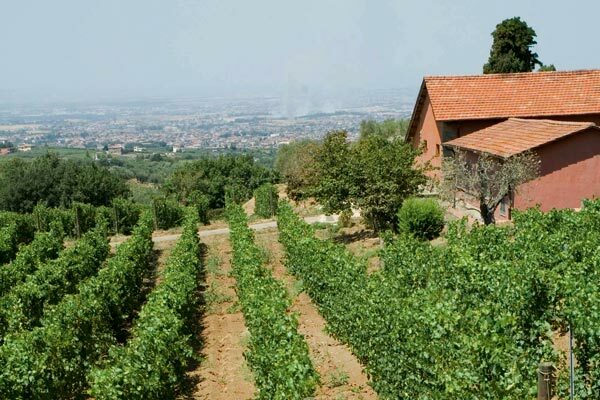 The production area for Frascati is located south east of the city of Rome and made up of hills that face the city, their formation dating back to the eruption of the great “Laziale” Volcano. The soils are loose and deep; rich in potassium, phosphate, and micro-elements. The climate is typical of the Mediterranean, with dry, hot, sun-baked summers, mitigated by a sea breeze that comes up from the coast, with the Tyrrhenian Sea just 25 miles away as the crow flies. This area is very well adapted for viticulture and in fact the roots of winemaking here are ancient, tracing back to the ancient Romans. Today we harvest about 1100 hectares of vineyards in the towns of Frascati, Grottaferrata, Monte Porzio Catone, a small part of the town of Monte Compatri, and part of the city of Roma, for a production of 126,000 quintals of grapes, about 6,000 tons. Tell us more about the actual wine, Frascati. Most people know Chardonnay or Sauvignon Blanc. What grapes make up Frascati? What blend is used for the Fontana Candida? Why do you choose the blend or is it simply based upon the allocation of the plantings in the vineyards? The new laws for the Frascati DOC allow for a minimum of 70% Malvasia di Candia and/or Malvasia del Lazio and up to a maximum of 30% of Bellone, Bombino Bianco, Greco, and Trebbiano Giallo. Within this 30%, producers can also use 15% of other white grapes authorized by the Lazio Region (maximum 4.5% of the total). So it can be a bit overwhelming to keep track of depending upon the producer. Starting from the 2012 harvest, we have ten years to update the vineyard plantings to reflect these new regulations. As of today the varietal that is most widely planted in the Frascati zone is Malvasia di Candia (72%), followed by Trebbiano Toscano (16%), Malvasia del Lazio (also called “puntinata” for the characteristic prickly formation of the skin after veraison) (8%), and other traditional varietals (4%). The composition of the blend depends on the varietal mix, but at Fontana Candida we make a selection of grapes based on the area of production, the age of the vineyards, the quality of the grapes, and their ripeness. Fontana Candida represents about 40% of the grape production of the Frascati DOC zone. What does each varietal contribute to the final blended wine? Malvasia di Candia gives us a wine that is delicately aromatic, with good to medium structure and a pleasing finish reminicent of dry almonds. Trebbiano Toscano, the varietal which has been removed from the mix with the new regulations, yields a moderately fruity, medium bodied wine. Malvasia “puntinata” del Lazio gives us a wine that has an intense bouquet, aromatic and floral, with ideal structure and a slightly higher percentage of alcohol. 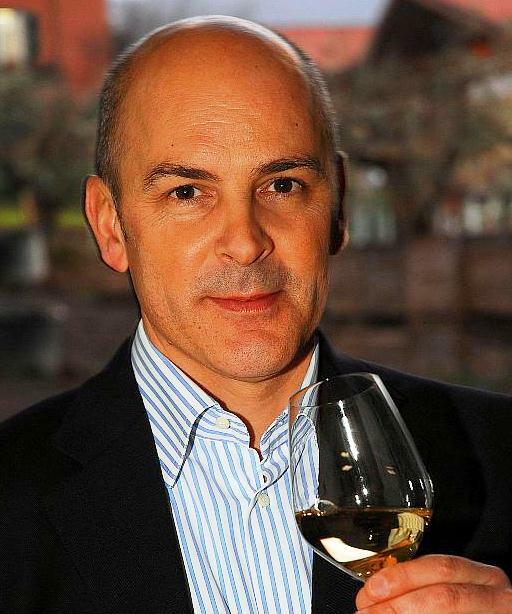 It’s been said that you are dedicated to leading a revival of the Frascati wine and the region itself. What are you doing to lead that revival and what causes are responsible for the downfall of Frascati in the first place? Not “yet” available in the US. Are you planning to bring it in? Regardless, I find the passion you show for the revitalization of this storied wine to be exciting. It’s great to see. Grazie Giovanni. Santa Teresa is a 30-acre vineyard and so very limited with production availability. If we were ever to bring some into the US, it would likely be for a handful of special restaurant accounts. On the other hand, Santa Teresa inspired the creation of “Luna Mater”, which has a greater production capacity. It is made from several small vineyards, with an average of 50 year old vines. Luna Mater, like Santa Teresa, is a rich, elegant and comprehensive expression of Frascati’s greatest traditions and potential. This I hope we can bring to the US. Each winemaker I’ve interviewed has inevitably championed terroir and the vineyard locations as the prime factors in making great wine. Do you agree and do you think the grapes used for Frascati are capable of producing great wine? Oh yes, I am convinced that a great wine must be part of culture and represent history, tradition and the expression of a territory – a sense of place. I think that the grapes we harvest for Frascati are capable of expressing good to great wines, and in some cases even excellence! 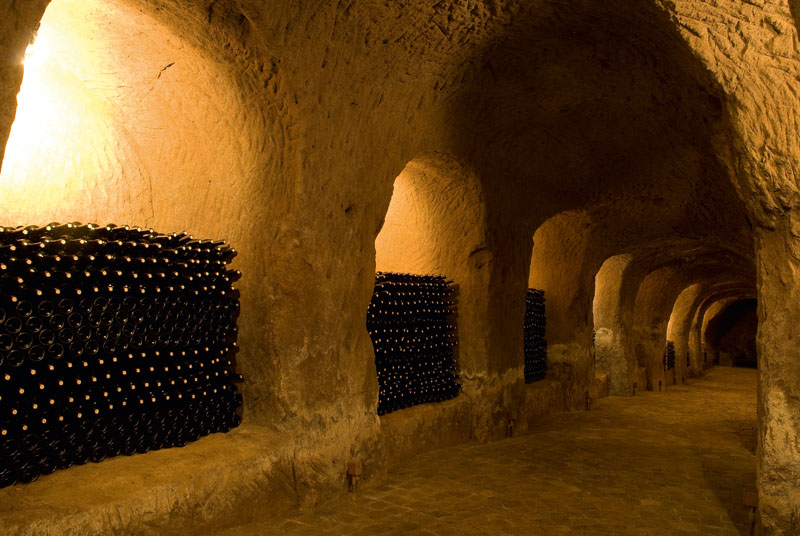 What is the greatest challenge you face in elevating Frascati to greatness? Is it internal to Fontana Candida, or is there a broader issue across other producers in the DOC? You ask a question that has to do with all the wineries, but Fontana Candida is the leading producer of Frascati DOC and it is for this reason that we feel a great reponsibility for the territory. It is my greatest wish that the virtuous path we have been following over the past few years with our “quality project” can become a good example for other producers. Absolutely. We need to set the standard and lead the other producers in the region. That is our responsibility as a leader in the territory. I found this quote of yours: “My greatest challenge is to encourage and convince growers to renew and regenerate their vineyards, so that future generations will remain in the business and continue the work of their fathers.” Does this statement reflect more of a desire for better investment in terroir and vineyard management as opposed to stricter selection and higher quality wine making processes? It seems to suggest that the issues facing Frascati are with the fruit the vineyards produce, not the techniques used in the cellar? Fontana Candida is equipped with advanced technology for winemaking, but we must remember that techniques and technology alone are not enough to obtain the maximum expression of a territory. It is indispensable to have raw materials – grapes – of the absolute highest quality, and of the best traditional varietals to make an excellent wine within the context of a historic denomination. It is with this goal in mind that we started our project to improve the grapes of Frascati. We have put consulting agronomists at the beck and call of our 200 grower families to guide them through all the farming phases throughout the year, and we put in place a criteria to evaluate the fruit of each vineyard at the moment that it is brought to the winery. This includes an economic incentive for those growers who meet our precise technical parameters. By doing this we hope to inspire our vineyard growers to produce the best grapes possible, but also to renew their vineyards according to our best traditions, reintroducing the best, traditional native varietals exclusive to our area, such as Malvasia “puntinata” del Lazio; varietals that allow us to produce a unique wine of excellence. 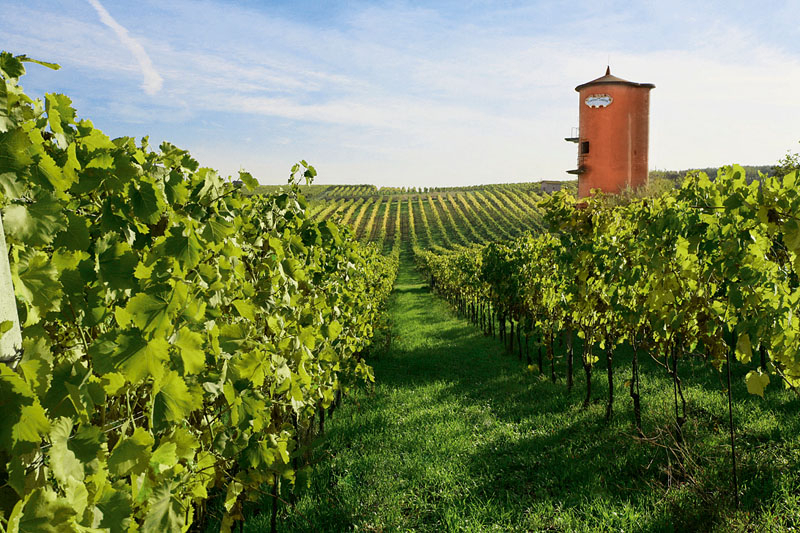 Thanks to our programs, we are seeing wonderful results, and our wines are once again “recognizable” and distinguished as an authentic expression of the territory, creating value for all involved. In my humble opinion, this is the only way to guarantee new generations their rightful heritage and encourage them to follow the noble work of their ancestors, safekeeping and bringing renewed value to such a historic and now small denomination. Inspiring! Well said mio amico. You stole the thunder of my next question. I was going to ask whether the winemaker was the custodian of what nature provides, or whether he can use technology in the cellar to make great wines. Ha! Yes, sorry Giovanni. Clearly you have to work in the vineyards. The raw materials are what matter most. As I said, we have all the technology we need. The efforts that will lead to excellence must be in the vineyards and the grapes themselves. Ok then, let’s discuss technology. What specific techniques do you employ at Fontana Candida that you feel are beginning the elevation of the Frascati DOC? Using all the accumulated knowledge of the winery team which has always been synonymous with Frascati in Italy and around the world: quality, image and culture. Gentle techniques, hand sorting, precise cleaning of the winery, temperature controls, everything together. In different ways, the single vineyard Santa Teresa and Luna Mater are emblematic examples of this. I was fortunate enough to taste the 2010 Frascati “Terre dei Grifi” earlier this year that was provided by our friend Lars Leicht. At the time, I was told that the Terre dei Grifi was sold only to restaurants. The wine was excellent. Don’t you think getting Terre dei Grifi into retail shops can elevate the brand? 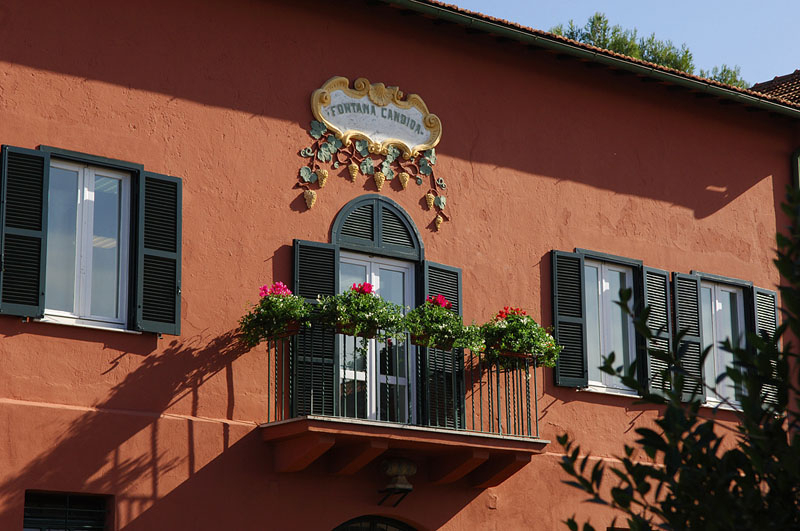 Fontana Candida enjoys a strong relationship with our US importer which I consider an absolute privilige, and I am sure that their marketing and business strategy will always serve the best interests of Frascati. I also know that our friend Lars will always take advantage of the best opportunities. We trust him. What excites you most right now about Fontana Candida and Frascati? If you were given a microphone, what would you shout loudest about? Mauro, this last question I ask of all my interviewees. What does Mauro do when he isn’t making wine? Do you have another passion that demands your time? What do you drink when a long day working in the cellars comes to an end? I have the important and pleasurable job of being Dad to Camilla and Valeria, 12 and 15 years old, and I look after my garden. I like to work with the land, planting, pruning, watering, and admiring the beauty of nature as it repeats the cycle of each season. When I come home and find my wife Carola at the stove while she prepares our family dinner, sipping a glass of wine the color of the sun, and I see that she is enjoying my Frascati, “Luna Mater,” I think that I must have done my job well. I join her in some of that great wine, but only after a refreshing glass of pure Roman water! I too have 12 and 15 year olds, so I can deeply appreciate your comments. And your need for wine! But seriously, thanks for spending some time with TuscanVines. I can truly say that you are indeed doing your job well. Giovanni, grazie. We will see each other soon. John, I haven't seen such great interviews with a single topic focus as Tuscan Vines. Thanks very much – it means a lot that these are well received. I have to admit, as "simple" and satisfying as Frascati can be, I enjoy it more when I reflect on how ancient it really is. Drinking wine from vineyards that were farmed by the Romans! Seriously? It puts things into perspective in a way. Regardless, I've got some really good interviews coming up: Elisa Scavino, Molly Hill of Sequoia Grove, Paolo from Ciacci Piccolomini, Paolo di Marchi from Isole e Olena, Michele Braganti from Monteraponi and others. It's going to be a busy end to this year!